No one would argue that natural flea and tick control is much better than chemical products used for repelling these parasites. A truly natural approach would be to just let the fleas and ticks remain on dogs but that is also unacceptable. Fleas and ticks are vectors of diseases and many of which are life threatening to humans and pets. 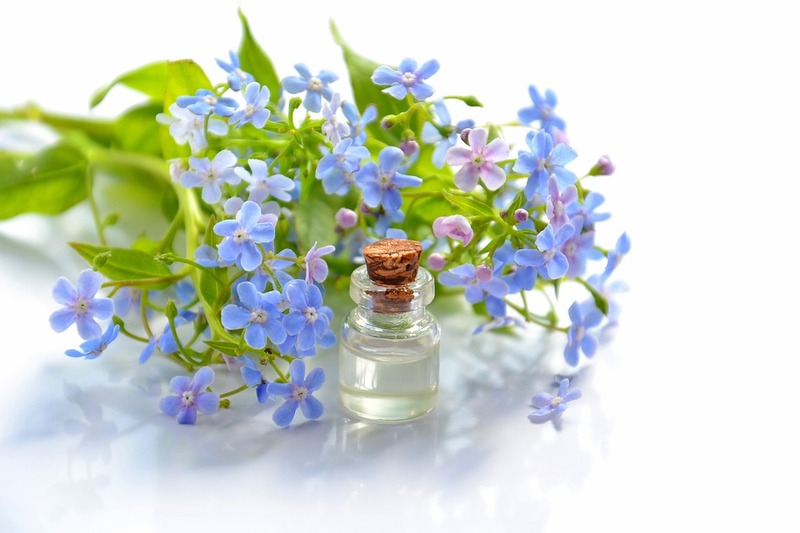 Aromatherapy or the use of essential oils is a gentle and effective way to repel fleas. Fleas hate the smell of oils and pet parents can harness this capability to rid their fur babies of fleas and other pests. Let us discuss what essential oils are good for fleas and ticks on dogs. Why use essential oils for dog fleas? Essential oils contain plant hormones and chemical messengers along with strong fragrances or aromas which fleas and ticks hate. Many essential oils also have antibacterial, antiviral, anti-inflammatory and immune stimulating properties that help create well being, balance and good health in pets and humans alike. Several essential oils contain terpenoids which act as natural pesticides. Citronelle, linalool and limonene compounds found in oils like Lemongrass and Lavender protect our pets from ticks, fleas and other harmful parasites. In short: there is no need to spend money on harsh chemicals in order to repel fleas and ticks on your beloved pet. Using essential oils for dog fleas is not only cheaper but also safer. Not only do essential oils smell nice; you can also rest assured that your fur baby will not break into a rash. Although natural, all essential oils for dog fleas must be used with extreme caution. 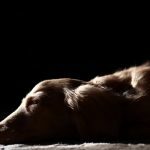 There have been numerous reports of pets being poisoned by essential oils. If you also have cats, you need to be extra cautious when diffusing essential oils since felines are even more sensitive to them. Pets also tend to lick their coats, so never use essential oil flea and tick repellent recipe directly on their skin. I will discuss a few ways in which you can use essential oils for fleas on cats and dogs safely as well as the best essential oils for fleas in the house. As a rule, never administer essential oils to your pets by mouth. The risk is far too great. There are many safe ways to repel fleas in your house and on your pet and I will be discussing these methods shortly. If essential oils are so great, then why are flea and tick product manufacturers not using them in their formulations? The answer is simple: the oils get wiped out or washed away rather quickly. So you need to use them over and over in order to repel fleas continuously. Also, our pets pick up fleas easily since they spend time outdoors in the grass where fleas and ticks live. Therefore, you need to use essential oil flea and tick repellent recipe every day to prevent fleas from congregating on your pets. Additionally, you need to use essential oils for fleas in the house. 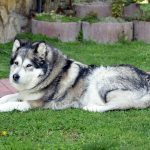 All this is a small price to pay since you are ensuring that your beloved pet is not at the risk of developing skin issues or breathing problems etc which harsh chemical products usually bring. As stated before, never use essential oils directly on the pet’s skin as they could break out into a rash if they happen to be allergic to the oil. Always dilute the oil in a carrier oil such as olive or coconut oil. Mix a few drops of essential oil with 5 ml or a teaspoon of carrier oil before applying on the neck, back and tail where your pet will not be able to lick. Dip an old handkerchief or bandanna in one of the essential oils for fleas recommended below. Let the oil completely saturate in the cloth. Let the cloth dry for 24 hours. Tie this around your pet’s neck. This all natural tick/flea repellent works wonders as the strong scent of the oil repels these parasites. You need to re-soak the collar in oil after 3-4 days. Use any vet approved shampoo for this recipe. You can also use Castile soap. Add a few drops of approved essential oils for dogs in the shampoo. Bathe your pet with the shampoo. Also add a few drops of the essential oil in final rinse water. In a spray bottle, mix a few drops of the best essential oil for dog fleas along with witch hazel, distilled water, or distilled vinegar. Shake well to combine and spray all over your pet’s coat. Focus on areas which fleas love to hide in, such as the neck, base of the tail etc. I have discussed many essential oil flea and tick repellent recipes below. What essential oils are good for fleas and ticks on dogs? There are many essential oils for dog fleas and fleas on cats. You may want to research the oils first thoroughly before use. Depending on the flea and tick species on the areas you live in, certain oils work better than others. It is also a good idea to test the oil around your pet first, before you make your flea repellent spray. Based on this, you might also want to change the frequency of application since some oils may not be strong enough. Here is a list of best essential oils good for fleas and ticks on dogs. Peppermint essential oil. (Read my article on how to use peppermint oil safely to repel fleas and ticks). 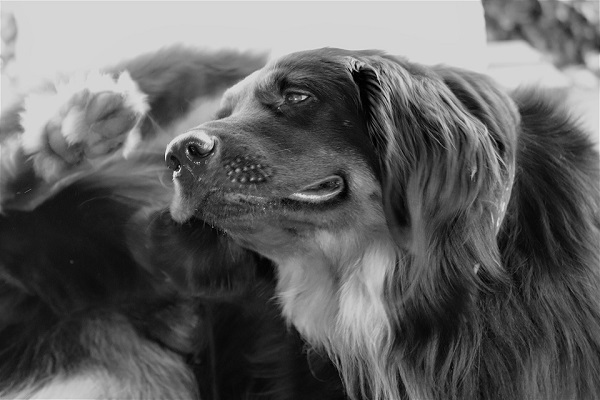 You can also read my article on general essential oil usage for dogs here. In it, I have discussed oils that are unsafe or toxic for use around pets. Mix all ingredients in a spray bottle. Spray it all over your pet making sure you cover the paws, tail and belly area. Repeat spraying every day, especially before walks. Mix all ingredients in a spray bottle. Shake well and spritz all over your dog’s coat. This spray is guaranteed to keep fleas off! Combine all ingredients inside a spray bottle and spritz away. This formula will keep away fleas, ticks, lice, mites and mosquitoes! You can also safely use this essential oil flea repellent for humans. Mix and shake all ingredients well. Spritz it all over your dog. In a dark colored glass bottle, use a funnel or dropper to add the vinegar, water and essential oils. Mix in the unscented Castile soap. Apply a spray nozzle top to the bottle. Shake well to combine. Spray the dog flea spray on your dog on areas where fleas congregate such as neck, base of the tail, etc. Rub the spray well to wet the coat. Allow the spray to set in for 5-10 minutes. You can now rinse the spray off with warm water. Apart from using essential oils for dog fleas, home owners must take the following precautions and steps to keep their homes and pets flea-free. Vacuum the house thoroughly. Fleas lay hundreds of eggs and these could be present in your bed, carpets, floor boards and other areas where your pet rests. Vacuuming will get rid of larvae and newly hatched fleas. Discard the vacuum bags immediately. Treat your home with diatomaceous earth powder. This will keep fleas from reproducing. Apply the powder under furniture, on carpets and in bed springs etc. Let the powder work for 6-8 hours after which you can vacuum it. Repeat application once a week to eliminate all fleas. Wash all pet bedding in hottest water to eliminate flea eggs. You can spray essential oils on the washed bedding or place dried lavender or cedarwood herbs to the bedding to deter and repel fleas. Bathe your pet weekly with essential oil flea shampoo described above. Groom and comb daily to catch fleas and prevent infestation. Treat your pet with essential oil flea spray recipe before walks outdoors in grassy areas. Eliminate clutter from yards. Do not allow wild animals like squirrels etc to nest under your patios and decks. Cut the lawn/grass to short height to deter fleas and ticks. 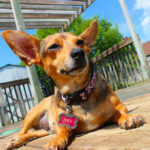 I hope these tips and essential oil recipes for dog fleas help you keep your pets safe.